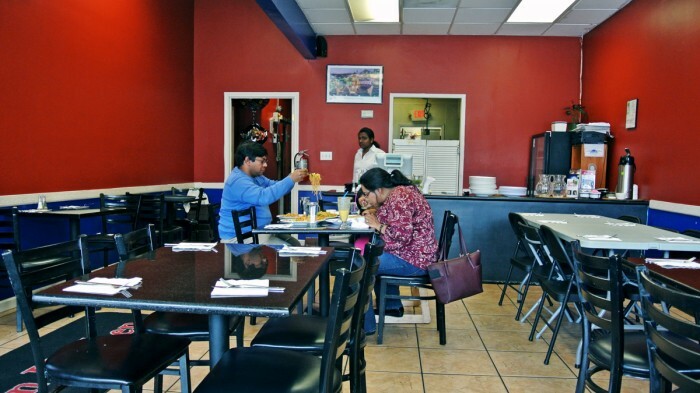 *Editor’s Note 7/17/14: I have recently returned to Himalayan Kitchen and the entire restaurant and shopping center has been remodeled and is much nicer now. The food is just as good as ever, maybe even better. 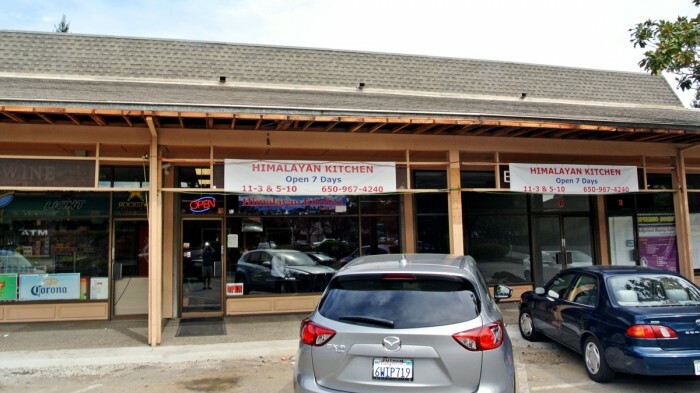 Way off the beaten path, in a seriously run-down shopping center in Mountain View, California you’ll find a sketchy looking restaurant called Himalayan Kitchen. Had I not read good things about this place online before driving over, I might have been turned off by the truthfully off-putting appearance, but I followed my instincts and continued on with my hungover Himalayan quest. Inside, the restaurant’s decor was spartan. Solid, bright red walls and simple, cheap black tables are all you’ll find in the no-frills shop. But the scent, that dense, herbal, spicy odor that filled the air and wafted into my nostrils was absolutely intoxicating. As soon and I experienced it, I knew I was in for something special. 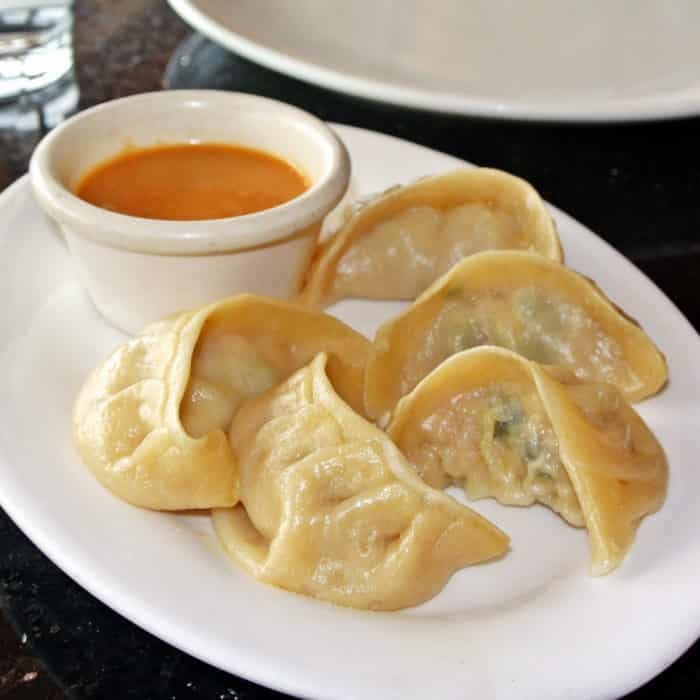 I began my meal with an order of Himalayan dumplings known as Momos. These handmade dumplings were filled with a ground chicken and vegetable meatball with a distinctly Indian, though relatively mild spice profile. But after taking a dip in that funky, spicy, neon orange momo dipping sauce, they became incredibly delicious. Without the sauce, they were pretty mild, but with it they were elevated to new heights and became significantly more exciting to consume. For my main, I selected the Himalayan Lamb Special curry. When asked how spicy I wanted it, I said medium which in retrospect was probably just right. Even when eaten along with basmati rice and roti, this curry kicked pretty hard. Don’t get me wrong, it was extraordinarily flavorful and incredibly satisfying, but I would have been in deep trouble if I had requested it spicy. 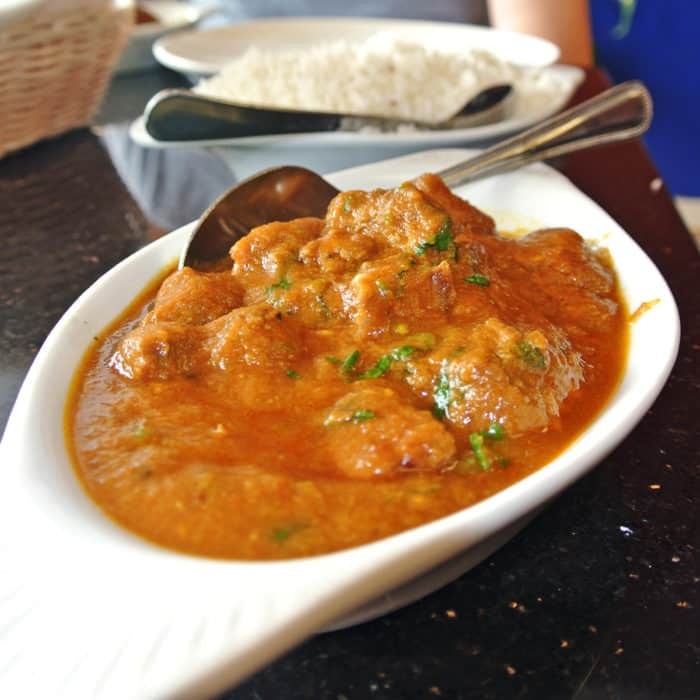 Sunk below the surface of this thick, creamy curry were huge, tender, gamey hunks of lamb meat that paired really well with the bold, rich, and downright awesome curry. I think it goes without saying, but yes, I polished the bowl. So, despite its less that appealing external appearance and sketchy location, I’d highly recommend swinging by for a plate of their chicken momos and one of their awesome, spicy, flavorful curries if you’re looking for something good to eat in Silicon Valley. 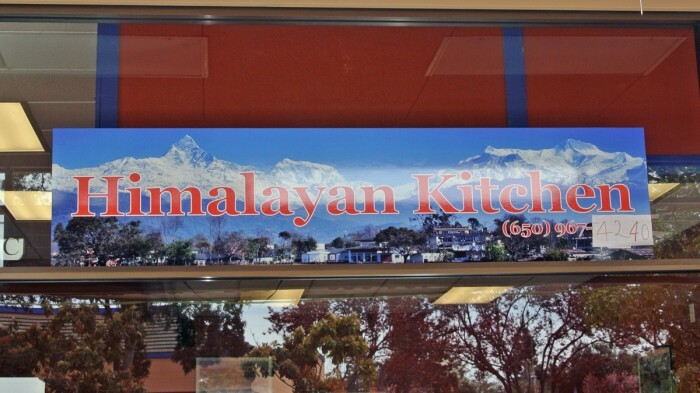 Got another ethnic eatery in the Silicon Valley area I should check out? Let me know in the comments below.